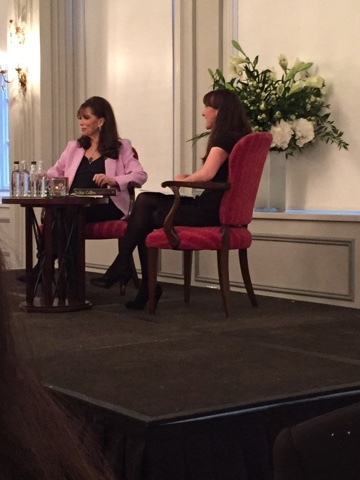 This week signaled another fabulous Literatti event at the Grosvenor House Hotel in London. These events are always amazing and this one was no exception. I mean any event where you're there to talk about a book and are greeted with champagne and canapes is going to be a winner, but these events really are something else! 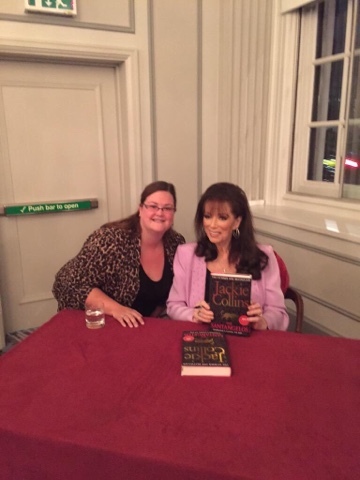 I was mega-excited about this one though because it featured the iconic author Jackie Collins. 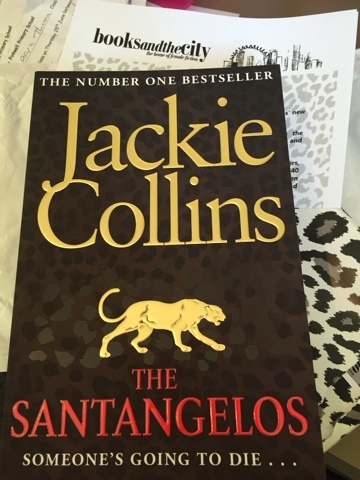 Now I can't say that I have read much of what Jackie has written but I do remember picking a couple of them up when I was in my late teens and devouring them in my summer holidays! This event was to celebrate her new book The Santangelos and if you would like to win yourself a signed copy, yes a signed copy, make sure you checkout the giveaway at the bottom of this post! Jackie was being interviewed by the wonderful Hannah Beckerman and gave away secrets about all sorts of Hollywood goings on and glamorous parties. All the things she was talking about really made me want to read her entire back catalogue because the scandals all sound amazing, without using any names of course! She also reveled that she is currently working on two projects, a sequel to her most recent book-The Power Trip- and her auto biography, which I now can't wait for after listening to the stories that she has to tell! There are strong themes of female empowerment running through her novels and she was really championing strong women and women taking what they deserve. She says she is one of the original feminists (without the bra burning)! She went on to answer questions from some of the fans in the audience, including author Nigel May, and then we were able to get our books signed and meet her. This was fabulous, like meeting a true celebrity and she even complimented my jacket! Thanks to Simon and Schuster and Rosie at The Grosvenor for organising such a fabulous event! 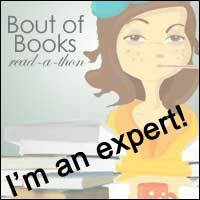 So you want to win yourself a signed copy of Jackie's latest hardback? Leave me a comment below, or tweet me telling me about your favourite strong female. I'll leave the competition open for a week and will choose the winner in the ususal way! As this is a hardback, its going to be UK only this time-sorry!